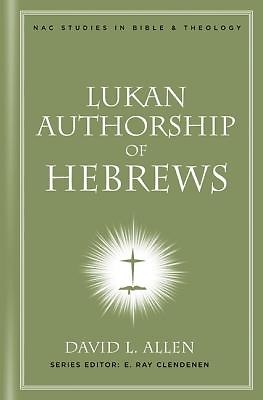 A new volume in the NEW AMERICAN COMMENTARY STUDIES IN BIBLE AND THEOLOGY series, Lukan Authorship of Hebrews explains why Luke is the likely author of the book of Hebrews. The ramifications of this possibility are then detailed in depth, including the way Hebrews informs the interpretation of the books of Luke and Acts. Also present throughout is commentary author David L. Allen's thorough analysis of the writing style similarities between Hebrews, Luke, and Acts.